Way more tasty than disease-ridden Oregon Trail pioneers, The Wagyu Wagon hauls marbled Wagyu beef -- the kind of cow that deserves to be massaged, fed beer, and live like a cattle king -- and is serving it to you -- the kind of customer who deserves to be massaged, fed beer, and celebrate a disregard for monarchies. 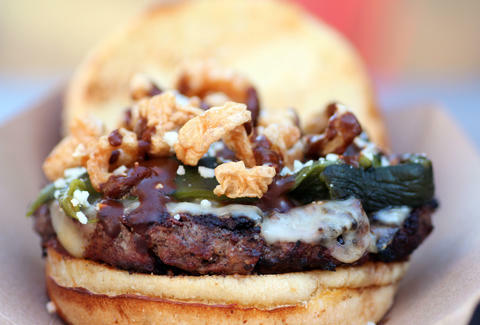 It's serving as the new portable kitchen at Fischman Liquors & Tavern, grilling up burgers like the Unholy Mole topped with fried pork skins, poblano peppers, Cotija and Chihuahua cheese, and a 17-ingredient spicy red mole sauce. 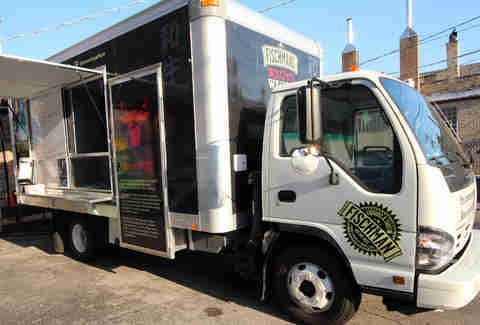 Though the truck first popped up in 2011, Fischman’s has taken ownership and revamped the menu with the help of Chef Jesse Valenciana, the founder of ManBQue, a Chicago-based DIY grilling collective celebrating meat, beer, and rock 'n' roll... all worthy past times. The truck will primarily serve as the Portage Park craft beer-laden drinking dive’s part-time kitchen, with catering events to come, so check out their changing locations here. 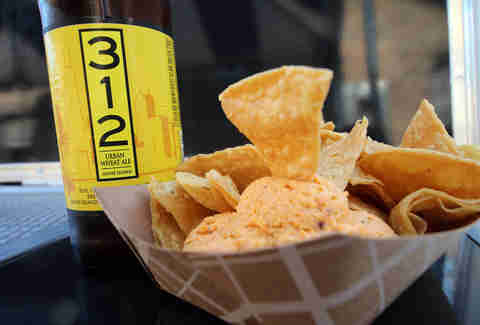 The beer cheese nachos are the result of a collab with 312, processing their wheat ale with Wisconsin cheddar, Sriracha, and crispy bacon bits into a spreadable cheese. Eat your heart out, Handi-Snacks. 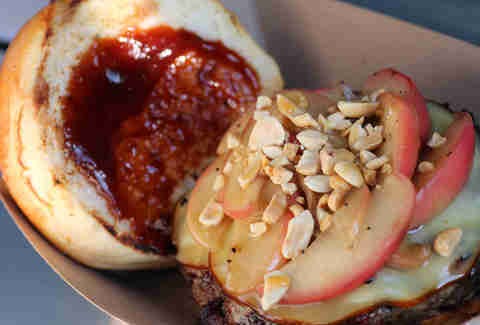 The seasonal Octoburger is endorsed by Nadya Suleman herself brings Autumnal flavor to their 80/20 Wagyu/bacon patties with spiced cinnamon apples, caramel, smoked Gouda, chopped peanuts, and Dark Matter-spiced brandy-habanero BBQ sauce. 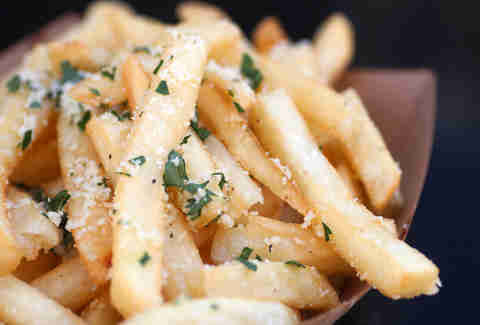 Other sandwiches include The Longhorn with shredded pork and onion rings, an Oktoberfest burger with kraut and brown mustard, as well as these Parmesan truffle fries to ride shotgun. 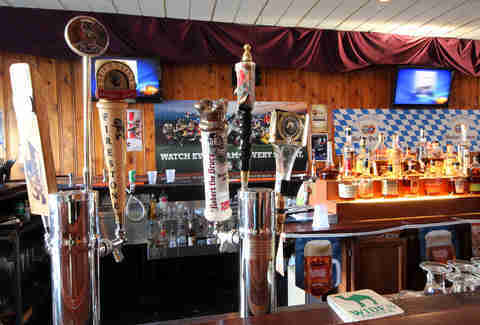 The Wagon will complement the tavern's steady rotating selection of 20 craft drafts with deep cuts from the likes of Two Brothers, Firestone Walker, and Three Floyds (hit the attached liquor store to stock up your cellar), all of which go well with a massage and a burger.